Intergroup Meeting Minutes – July 2016 – Lincoln Nebraska A.A. Chair Report: Met with Alternate Chair for voting item. Received news from Bridging the Gap that Area will be adding a tab on the homepage for this. If you want more information about this, contact Cara. Old Business: Search for CSO Board Member continues, especially for females. Board Members are asked to go to recovery community: we need more financial support if you want to keep our CSO.We are not getting contributions like we used to. If you want a CSO, we need AA support. Scott will write an employment ad for the CSO bulletin and possibly for Craig’s List. We will discuss office hours and days next month. New Business: Our Memorial Plaques will be updated. Archives Project updates: much progress has been made on this. The construction is nearing completion and members are working on compiling a chronological history of Lincoln’s AA. Items are being collected, cataloged and displays being set up. We expect to draw many people in our local and surrounding areas who will truly enjoy this special experience. City/County Jail: Joe was absent from June Corrections meeting — at that meeting several potential volunteers wrote down names and contact info. Joe contacted all of them and sent apps to those who met the eligibility requirements. CCCL: Men’s in-house 12 step study on Tuesday nights continues, with a steady core or inmates participating. D&E: Wednesday night meeting goes well, with attendance fluctuating between 4-20. RTC: Saturday night meeting has a solid core of 8 inmates with an active chairperson who shows up every week. A new volunteer has been officially cleared. New Business: More volunteer sign-up sheets need to be taken to Intergroup. John S. will do that. Need to collect the April – July disbursement checks from Intergroup, each one for $50.87. Request from District 32 (Seward) for help/ideas to retain young people. PICPC will help by passing around a list to gather phone numbers to share with District 32. PICPC will update intergroup on how this goes. Made some updates to the meeting list so everything should be good now. Started his rotation with 2 people coming to district meetings, now there are 5-7! They’ll be hosting the second quarter 4 corners workshop in 2017. Not so dark anymore! Hotline Chair — No one willing to stand. Much discussion on what might happen to the availability of the hotline if we don’t find someone to chair that service. Short term solution was suggested for Intergroup members to pass lists around this month and hope to find someone in August meeting. After much discussion, Beth offered to stand. She was voted in and graciously will take over! Huddle was typed out in a new format to present to groups. IRs are to share the following voting items (#1 first, and if vote is yes, also share #2) with groups. Then will bring it back to Intergroup next month for a vote. Item #1: That Lincoln Intergroup put on a monthly event for the purpose of reaching out to the Lincoln AA groups about the service structure. This event would be called “The Huddle” and would be held the 2nd Friday of each month at Bryan West. The time would be at 6:30 or 7:00pm and would be determine by the 2nd voting item. And that Intergroup fund this event for a 12-month period starting October 2016 which includes $10 a month facility rental fee equaling $120 a year and a one-time $50 for literature expense and a chairperson’s notebook. 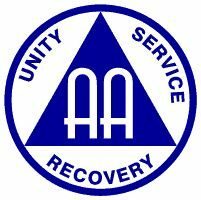 Background: The goal is to provide a venue to present a consistent message to newcomers about AA service in the hope of increasing communication, participation, unity and support for Lincoln AA groups, districts and committees. Friday, in the 6:30 to 7pm range, was chosen so that Bernice or Eric could attend. The event would be chaired by multiple people over time, but it was felt that the people that proposed the event should be able to attend and facilitate in the beginning. The reason that a 12-month time span is requested is because that is believed to be an adequate time frame to see if the event needs to continue. This would allow time for word to spread about the event and for the format of the event to work smoothly to provide the most relevant information in a clear and concise manner. Item#2: In the event that Voting Item #1 passes referring to the event called “The Huddle”, that this event be held at either 6:30 or 7:00pm the 2nd Friday of the month from October 2016 through Oct 2017 as the groups determine. Background: We are asking the groups to do a count of those that are for a 6:30pm time and those that are for a 7:00pm time with the majority being the winner. There was some feedback from the groups about which time would be better so it was decided that the groups should determine the time. Although the 6:30 time is more difficult for the chair people who initiated this event to be there, it can be done and they are willing. Some groups preferred the earlier time so it was easier for people to go to a meeting after. Since this event will be planned in such a way that the chairperson alternates, it behooves us to pick a time that is best for anyone interested in participating either as a participant or chairperson. Meeting closed at 7:52 p.m. and we all gathered for the Serenity Prayer. The next meeting is Friday, August 26 @ 6:30 p.m. @ Willard Community Center-1245 S. Folsom St.